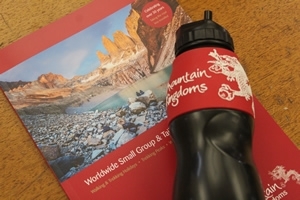 From 2019, Mountain Kingdoms will be offering clients who are not given a free Mountain Kingdoms kit bag (these are required for certain treks), the choice of receiving either a free Water-to-Go bottle or a free Mountain Kingdoms fleece. If you are not eligible for a free bottle, you will still be able to buy a special Mountain Kingdoms Water-to-Go bottle from us at a discounted rate. In addition you will be able to purchase more filters, extra bottles and accessories at a 15% discount via the Water-to-Go webpage using the discount code MK15. 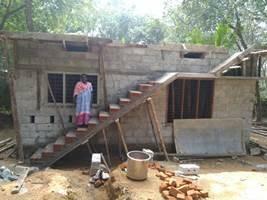 Mountain Kingdoms will also donate a further 15% to projects we support around the world. The human race manufactures over 300 million tonnes of plastic each year – that is equivalent to the weight of the entire adult population of the planet. Half of that plastic is used just ONCE. Although plastic is an amazingly versatile and useful product, it is virtually indestructible and production has outpaced the planet’s ability to deal with the waste we are producing. In the more remote parts of the world which Mountain Kingdoms visits, recycling facilities are in their infancy and poor waste management has resulted in severe plastic pollution. 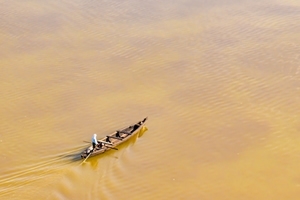 Inevitably plastic ends up in rivers which ultimately flow to the oceans, and scientific evidence has shown that around 8 to 12 million tonnes of plastic ends up in our oceans EVERY YEAR where it harms all marine life. The NHS recommends drinking at least 2 litres of water a day, which means that on a typical two week trip you could be buying 56 single use 500cl bottles - these will be used for a short period of time and then, if not disposed of properly, take up to 500 years to disintegrate!